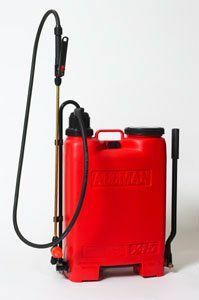 Portable, hand operated spray equipment for insecticides. Used in the control of vectors. Use with solutions or wettable powders. Note: This kit is for spraying various types of insecticides for the control of insects that carry disease other than malaria. When residual spraying for malaria control different sprayers, that conform to WHO specifications, must be used. Personal Protective Equipment (PPE) must always be used by workers using sprayers. 15 litre capacity Backpack Polyethylene Tank made of HPPE, ultra-violet resistant, plastic fitted with: strap, 135cm pressure hose and piston type pump with working pressure from 1–6 bars (15–90psi), left or right hand operation.